If you’re a cyclist, chances are you have considered crossing into the ebike realm. Let’s face it: ebikes are all the rage and they are allowing people to travel farther and faster on two wheels. 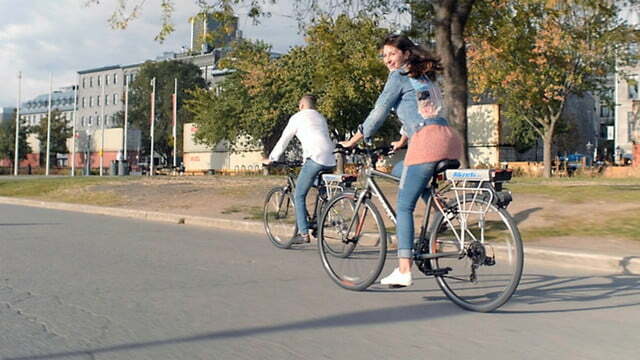 The downside is that you probably already own a bicycle of your own and brand new ebikes are costly. While there are some conversion systems on the market, it can be a complicated and time-consuming process that requires replacing parts of your existing bike. 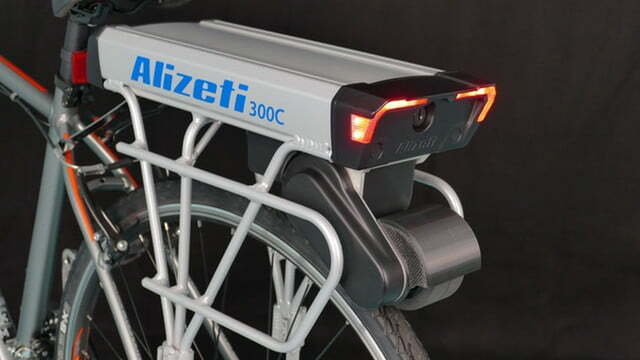 Enter the Alizeti 300C — a simple, all-in-one e-bike conversion system that can transform any bike into an e-bike in just minutes. The Alizeti 300C conversion system is powerful, lightweight, full-featured, and affordable. It’s easy to use, install, and service — all you have to do is add it to your existing bike and hit the road. Installing the conversion system should be akin to installing a bike rack — no special tools are required. The power drive system is mounted onto an all-in-one rack that is fastened above the rear wheel. The system features a 500-watt motor, 40-mile range, and a top speed of 20 mph — providing just enough power to assist you on those long commutes and routes with steep hills. Some standout features include the ability to repurpose your bike with either one or two 11.6 Amp lithium-ion batteries. Having a dual flex-power battery system allows you to extend your ride distance up to 40 miles with the insertion of the optional second battery. Integrated drive, signalization lights, and a horn make for added safety measures. 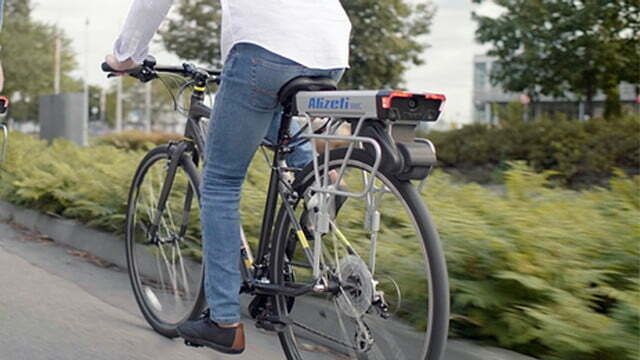 A tamper-resistant anti-theft system ensures your bike is kept safe and secure. 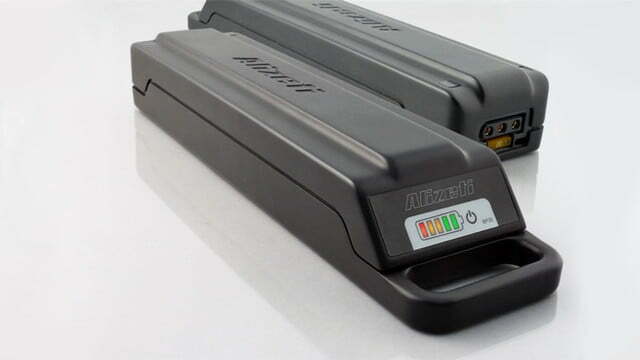 Motion-activated sensors alert you to tampering by sounding a 90-decibel alarm while flashing strobe lights and once the system is triggered, the ebike is put into lockdown mode. The battery, motor, and dual-purpose rack weigh in at 11 pounds — making it among the lightest ebike conversion systems on the market. A bonus feature is the system’s automatic pressure control, which should allow the cyclist to completely disengage all electronic assistance at the press of a button. Crowdfunding products are not guaranteed, so buyers should proceed at their own risk. Learn more about crowdfunding projects. Pledge $584 as an early bird on the company’s Kickstarter campaign page for the best chance to get your hands on the Alizeti 300C conversion system.